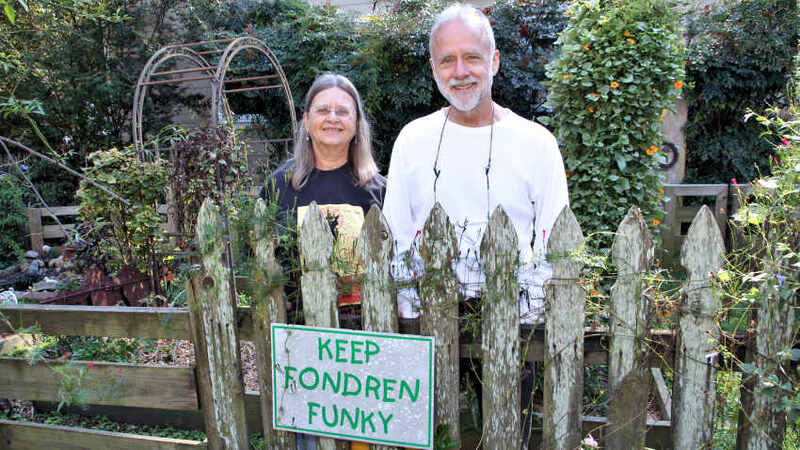 Willow is moving on to greener… make that “sandier” pastures. 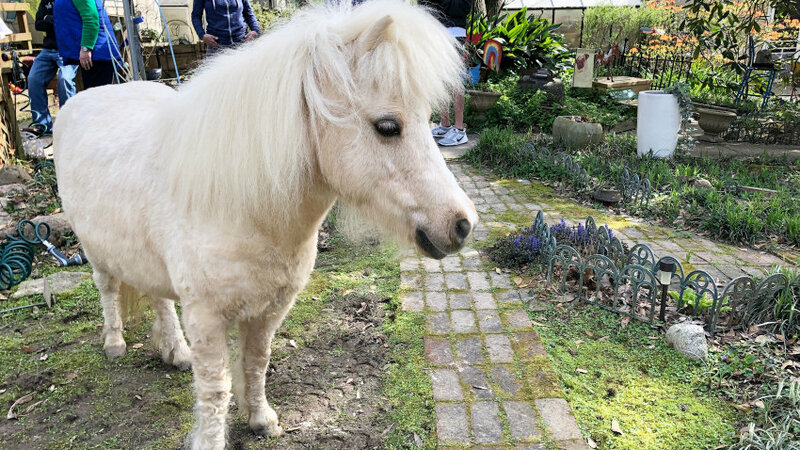 The miniature horse, belonging to Becky and Don Potts, is plagued with a grass allergy that is affecting her lungs. She will move west to further her life. “Cedar started all this,” Don says of their youngest daughter, now grown, whose interest in horses led to their taking in a miniature horse named Little River more than 16 years ago. Don proudly points out a table where Cedar’s business cards lie, showcasing her services as a professional horse trainer in Kentucky. When Little River became sick and died in 2010, Dale turned them on to a rescue, Willow, who has been with Don and Becky for nine years. 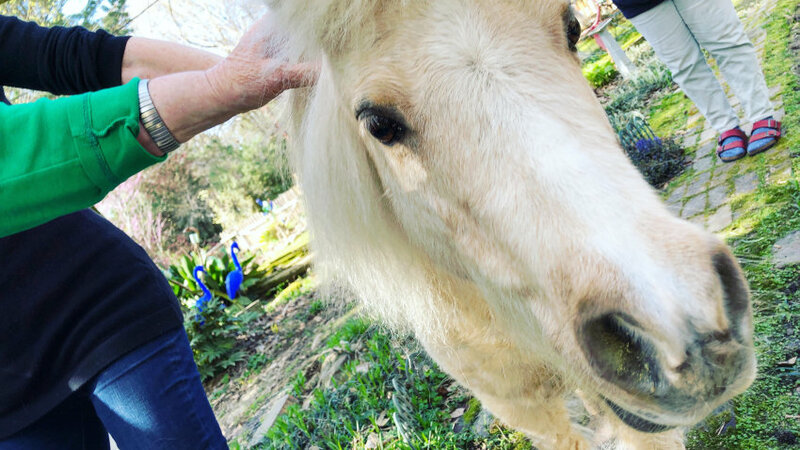 If you’ve gotten this far, maybe you are asking, “A horse… in the middle of a residential neighborhood in Fondren?” Did Becky just chance it and hope no one would mind? In 2013, Sophie and I moved into a rental house, across the street and two doors down from Becky and Don. Many times, I’d look out our front window to see Becky reading a book on our front steps. These were the early days of Willow and Becky needed to keep a closer eye on the horse. “It’s just Willow, she’s OK,” I said, much to their bewilderment before explaining she was a grazer who lived just up the road. A little older, maybe a little more familiar these days, Willow still grazes the yards up and down Chickasaw Avenue and Robin Drive. She won’t go too far. “When I came home earlier, she was almost to Brookwood Drive,” Don adds. He’s quick to give Becky credit for Willow’s care. Letting go of Willow will be hard, Don says, especially for Becky. “She spends a lot of time with Willow. When she rides full-size horses, Becky takes Willow with her in the van,” a vehicle Don says he only has because of the horse. Will the Potts’s take on another animal? Maybe, in time, Don says.